As with all of our pre-amps, we can configure them to suit any Moving Coil/Moving Magnet cartridge. This also means that we can upgrade the unit to a PLUS for even greater resolution. All of our range now come with selectable dip switches to give you a choice of 5 cartridge loading resistances per channel. 100, 200, 300, 400, and 500 ohm are selectable, and if you require a custom load then please let us know. This is the first unit in the range to come equipped with our now famous Lithos regulator technology for an ultra low noise floor that enables the macrodynamic of your recordings to be revealed like never before. 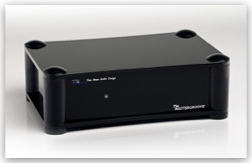 The incredibly low noise floor out performs almost every other phono stage in the World today and is therefore theoretically capable of twice the dynamic range than a CD. 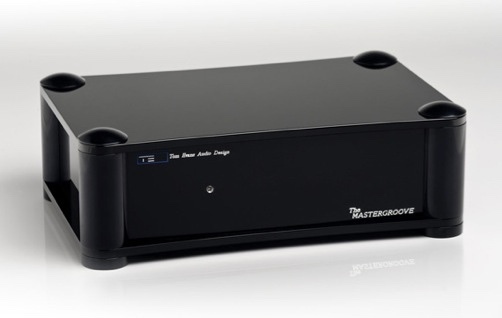 Such is the advancement in this improved version of the MicroGroove+, that it will now out perform previous much higher cost mark1 versions of our own phono stages! Featuring a more sophisticated design with a dual mono layout and dual Lithos 7.4 local regulators, providing an even wider dynamic range giving more lower level detail - almost twice the dynamic range of the previous model Micro Groove+ X - recently measured by an independent German magazine to have a signal to noise ratio of 108dB (A weighted @ 20kHz with 73dB of gain) and that was with our previous 7.3 Lithos version. All of our range now come with selectable dip switches and here we give you a choice of 9 cartridge loading resistances per channel. 112, 126, 144, 168, 200, 250, 333, 500, 1000 ohm are selectable, and if you require a custom load then please let us know. The new Groove+ Anniversary mkII is a worthy successor to our previously acclaimed mk1 version. Like the 20th Anniversary model below it, the Groove+ SRX features a more sophisticated design with a dual mono layout and dual Lithos 7.4 local regulators, providing an even wider dynamic range giving more lower level detail - almost twice the dynamic range of the previous model Micro Groove+ X - recently measured by an independent German magazine to have a signal to noise ratio of 108dB (A weighted @ 20kHz with 73dB of gain) and that was with our previous 7.3 Lithos version. However, the Groove+ SRX version has an entirely redesigned circuit with an external power supply with our latest High current 6.1 Lithos PCB. 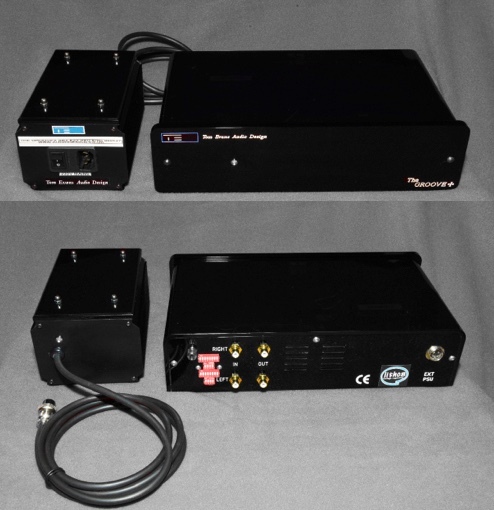 This offboard PSU helps to once again double the dynamic range and half distortion of previous 20th Anv. model. The new Groove+ SRX mkII is a reality check to all other Phono Stage manufacturers around the World. ……….as for Elvis? The rumour has it that he is dead, maybe he is but for about an hour he was only 3 metre away from me. I just couldn’t imagine it can be better.... Priceless. - Customer review. The culmination of all of our knowledge appears here in the form of the Worlds Reference Class Master Groove. If the effect of hearing instruments that you have never heard before from a piece of vinyl you believe you know inside and out, leaves you grinning from ear to ear, or crying in the absolute joy of the occasion, then prepare yourself for that very experience. Facts and figures? Yes of course, more than you can possibly imagine. Let’s narrow it down for you. The front end gain stages offer more than 50% less noise and distortion than our acclaimed Groove+ SRX and over twice the dynamic range. 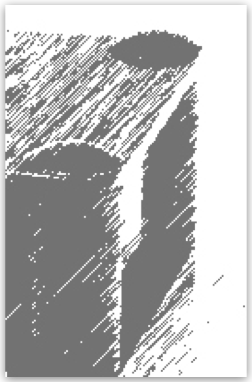 The signal path resistors use Vishay 0.1% tolerance and 15 parts per million temperature coefficient. That’s 15 per 1,000,000! Each stage of gain is powered by the latest Lithos 7.4 class ‘A’ local voltage regulators. Both left and right channel local voltage regulators are supplied by our latest higher powered Lithos 6.1 regulators in all 14 PCB’s. 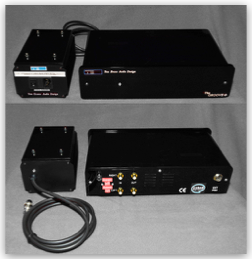 We have even gone to the trouble of designing and winding “in house” a new 200Va Low Flux Transformer with a electrostatic screened primary winding to dramatically reduce RF (Radio Frequency) interference entering the power supply. Nine values per channel of cartridge loading resistor settings are provided with dip switches on the rear panel and MM and Decca versions can be built to order. We can quote an array of numbers that speaks volumes about our attention to making sure that every minutiae of signal is passed to you, the listener. But, none of this impressive array of numbers can convey the scope of step forward for vinyl reproduction that one listen can do. When your Vinyl reproduction needs no excuses, only the very best phono equalisation that the World has to offer, then we believe - as do many others - that there is only one choice. The new MasterGroove mkII is a performance reality that no other manufacturer understands how to equal. Such is the overwhelming complexity and work load of hand measuring and perfectly matching every component of this ultimate phono stage, this limited edition model is only available at a rate of ten units per year. Featuring a custom case with a fully balanced XLR output circuit as well as a single ended RCA phono output. 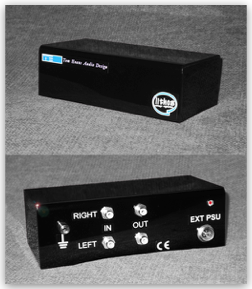 Our most sophisticated internal PSU design with a far more complexed front end gain stage, has over 50% less signal distortion than the already reference Master Groove model. 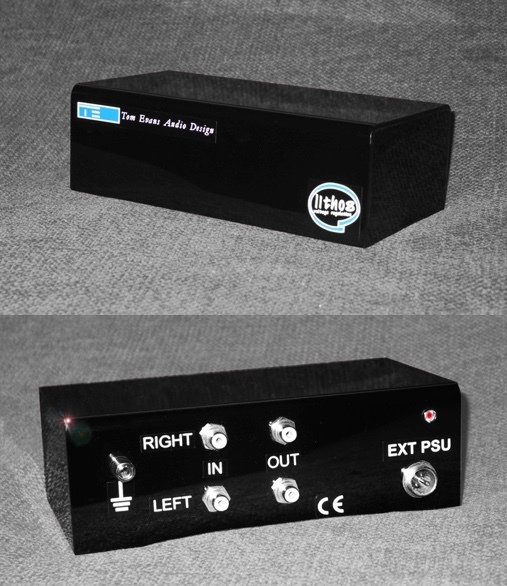 This provides the greatest dynamic range of any phono stage in the World by an incredible margin. The very ethos of this is the resolution of more detail than was ever thought possible from any HiFi medium. A set of measurements so in advance of the competition that it will be more akin to testing an advanced Alien technology than measuring a mere electronic device. 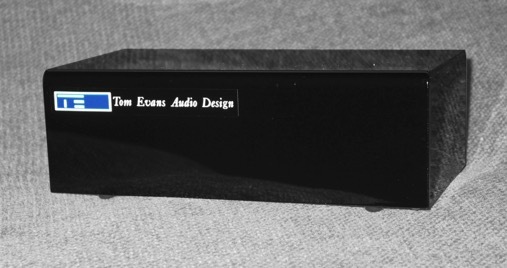 If the future of Audio is to be defined by one component, then we believe the Tom Evans Audio Design MasterGroove SR will be that component, and given all that you already know about our World beating range of phono stages, do you truly believe that such an advancement would come from anyone else? The new MasterGroove SR is a quite literally beyond reality!